Need a company that is absolutely dedicated to customer service and top of the line restoration? 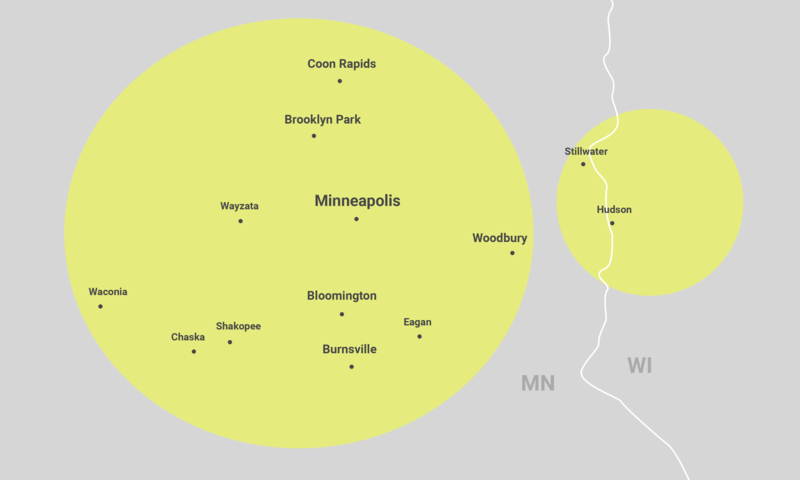 If you’re looking for mold remediation experts in Minneapolis, your search ends here – with the team at ServiceMaster. When moisture infiltrates your home, it can lead to damaging mold growth, affecting everything from your HVAC system to furniture to ceilings and walls. It’s critical to choose a team with the expertise to handle your mold problem in an efficient and effective manner. If you’re worried about mold growth, contact ServiceMaster as soon as possible. With a wide variety of restoration and cleaning services, we’ll get your property – and your life – back to normal. Mold wreaks havoc on everything, from the structure of your home to the drywall to the furniture inside. Let us take care of your harmful mold problem. When water makes its way into your house, it can lead to mold growth in just 24 hours. We will clean it up and restore your property, fast. No matter when you’re in need of our mold remediation services, the team at ServiceMaster is available 24/7/365. Whenever disaster strikes, call us first. We offer a wide variety of restoration services that will get your home back to normal after damage occurs, whether caused by flooding, fire or smoke. When mold works its way into your house, it can cause major problems. Not only will it damage things like wallpaper, ceiling tiles, carpets, insulation material, wood and drywall, it presents clear hazards to you and your family’s health. To solve your unfortunate problem, get in touch with the expert team of mold remediation technicians at ServiceMaster. Using specialized infrared technology, our inspection team identifies mold in every area of your home. With a chemical treatment, we then remediate the mold and provide a new layer of protection for your home. Our experts have completed intensive mold remediation training as well as detailed instruction in the proper procedures for handling mold claims – so you know you’re in good hands when you work with us. To minimize mold growth, you must act immediately. 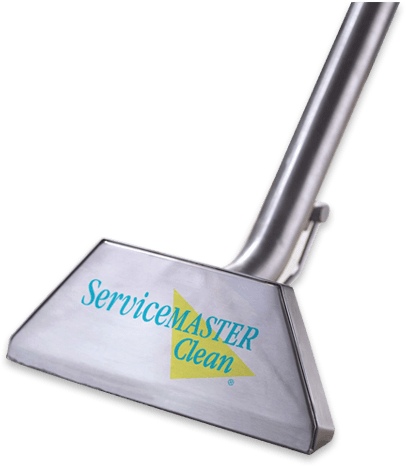 With one quick call, the experts at ServiceMaster will be at your property with the proper equipment and training to fix the problem in a flash. Contact ServiceMaster in Minneapolis by calling (612) 354-5466 or filling out a form on our contact page. When mold infiltrates your home, take action immediately — get in touch with our expert team today! Mold infiltration can cause big, costly problems if not taken care of right away. Within just 24-48 hours, mold can grow inside your home on wet or damp surfaces. That’s why it’s crucial to fix the situation as soon as possible by calling the experts at ServiceMaster. When left unchecked, mold can have serious impacts on both your quality of life and your home’s physical structure. At the first sign of mold, look to ServiceMaster to help remediate the problem and prevent long-term damage. Whether your basement is flooded, your kitchen sink is leaking or a bathroom pipe has burst, water damage can be a costly problem. While it comes with its own unique set of problems, water damage is also a primary contributor to mold growth. From full-service home restoration to emergency flood damage repair to dehumidification and much more, we provide water damage restoration in Minneapolis, providing expert guidance on what to do and how to fix the problem immediately. 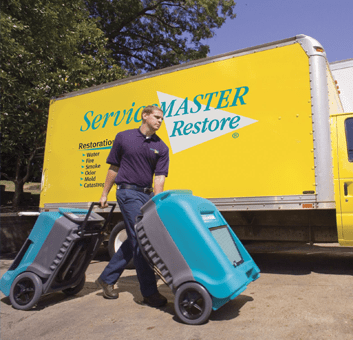 For the best mold remediation services in Minneapolis, contact the experts at ServiceMaster today. We use our expertise and experience to help you get your home back to normal as quickly as possible. With our commitment to exceeding client expectations, we’re prepared to fulfill your mold remediation needs. Get in Touch! Contact ServiceMaster of Minneapolis today by calling (612) 354-5466 or filling out a form on our contact page. We’re here whenever disaster strikes – get in touch now!